According to Inertia Surf Editor Tetsuhiko Endo, ‘surfing’ has been known as a predominately “white” sport that lands comfortably somewhere between mountaineering and golf. 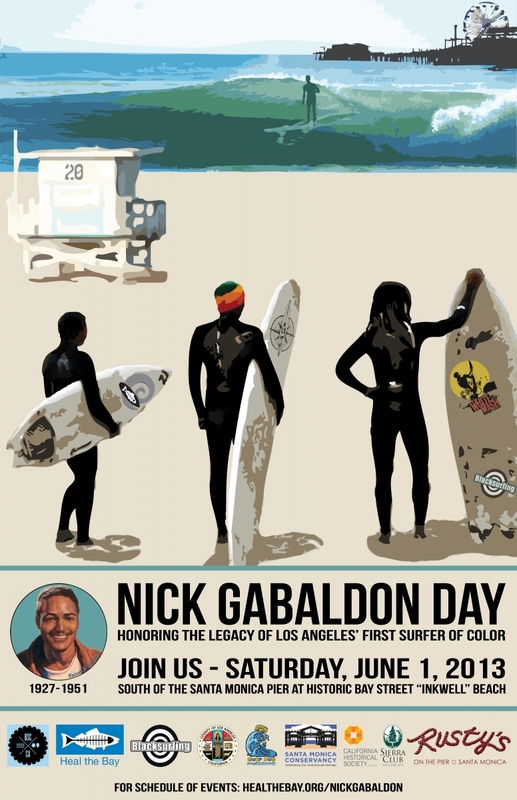 Nick Gabaldon was the 1st African American Surfer according to The Encyclopedia of Surfing Author Matt Warshaw. Nick Gabaldon was said to have learned to surf at a beach called “The Inkwell” which was located in Santa Monica California during the 1940s. Supposedly, this was an informally segregated beach at the time. Gabaldon paddled on a regular basis, twelve miles North to Malibu’, which was believed to be one of the best waves in California. He practically stood alone in his quest to chase his passion and went to extents that many would never have considered. Nick Gabaldon met his untimely fate on June 5, 1951, as he rode his last wave where he lost control of his surf board.